Now that the weather is getting warmer, I’ve definitely been stocking up some warm weather essentials for my spring/summer closet. And this weekend’s 70+ weather gave me the perfect excuse to pull out one of my new favorite pieces and parade around. 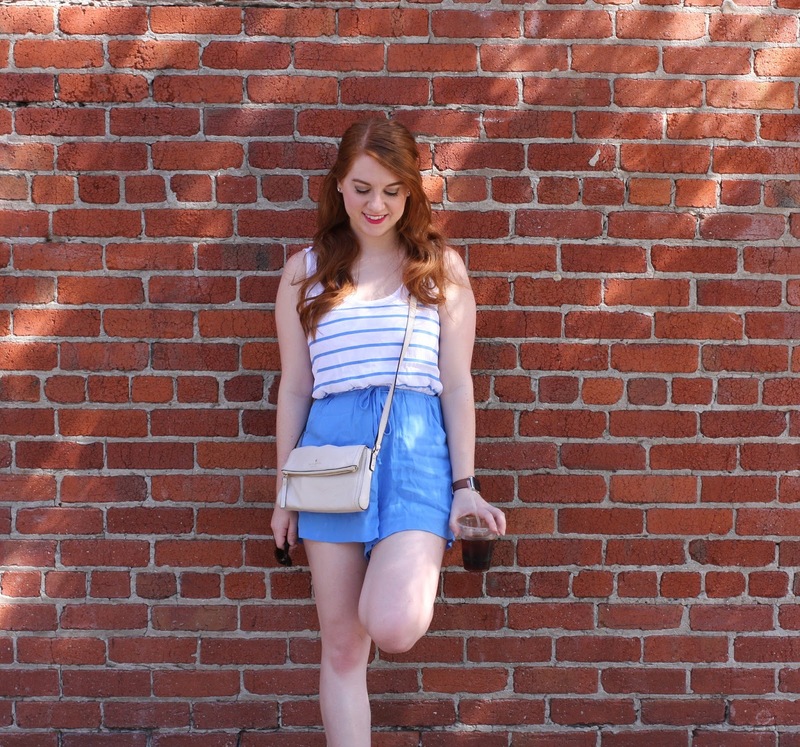 Stripes, blue and pockets, oh my! 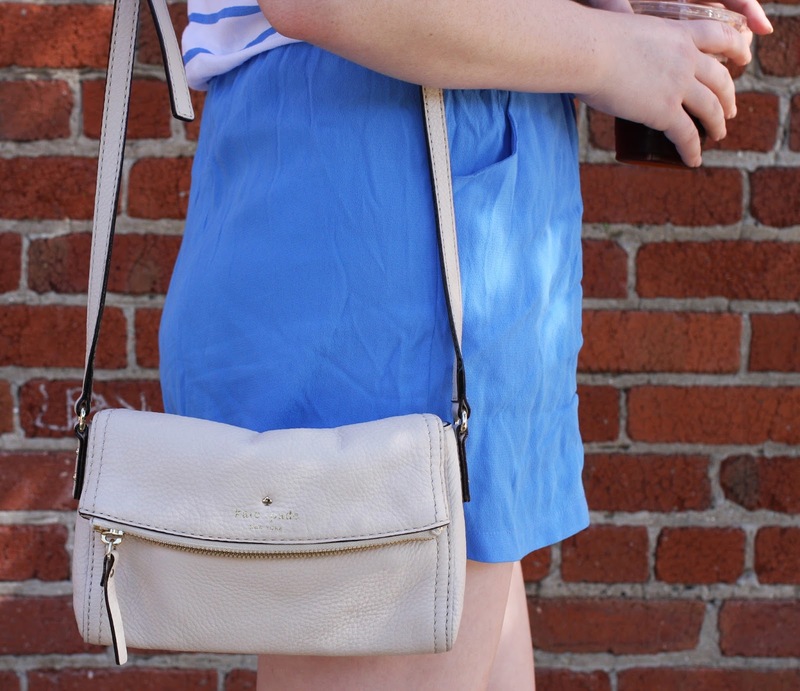 When it comes to all things striped, my closet is chock full and I can never seem to get enough. 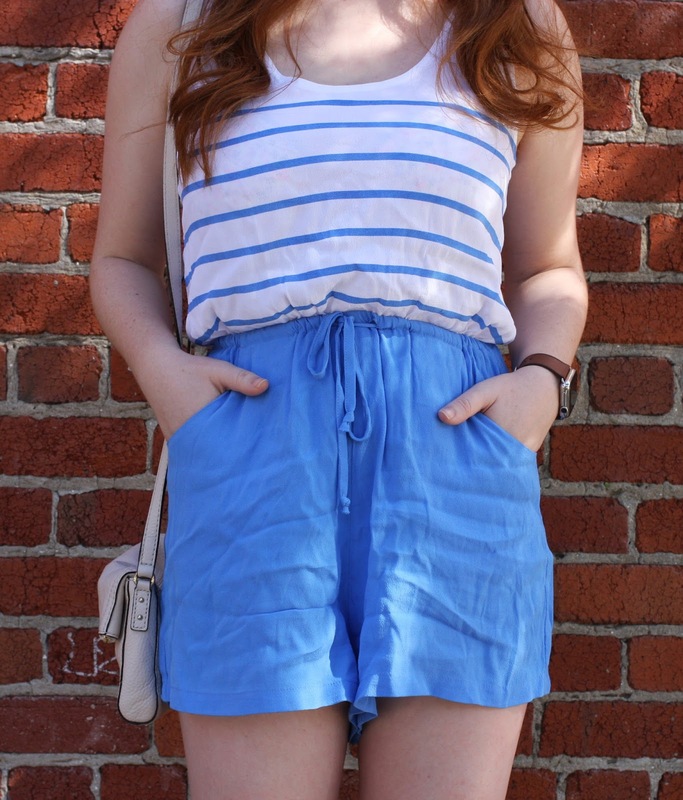 Add a little bit of my favorite color (BLUE) and a few pockets and I can tell that this romper will definitely be a part of my daily uniform. 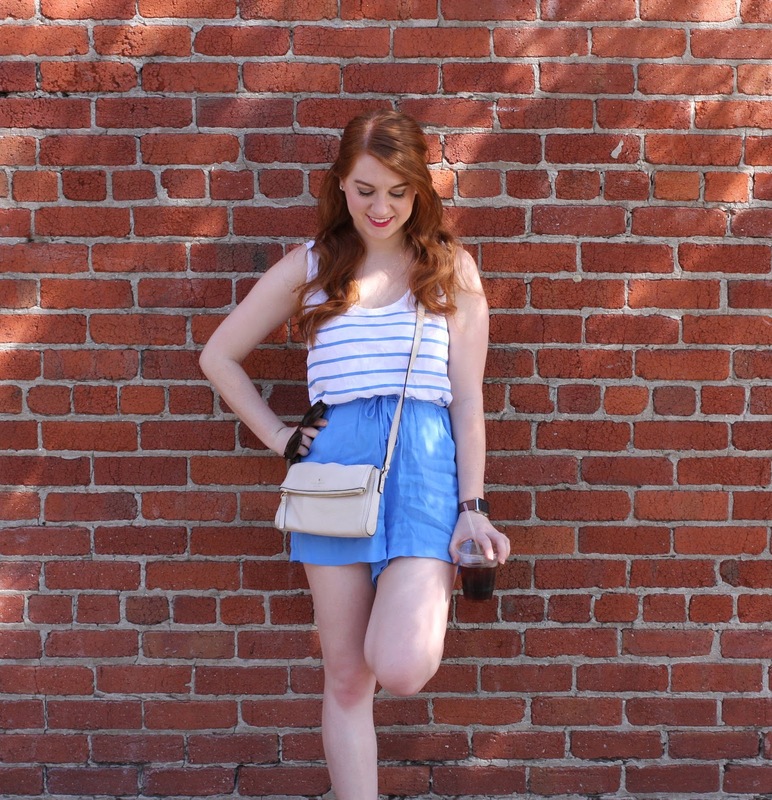 I'm so very addicted to rompers this year, and yours is adorable! You look great 🙂 Do I understand correctly that the strips are now in the trend? Love me some Minkpink! This color blue looks amazing on you! This outfit is SO cute!! I absolutely love Minkpink! Such a pretty and laid back look! Love the romper 🙂 You look gorgeous!